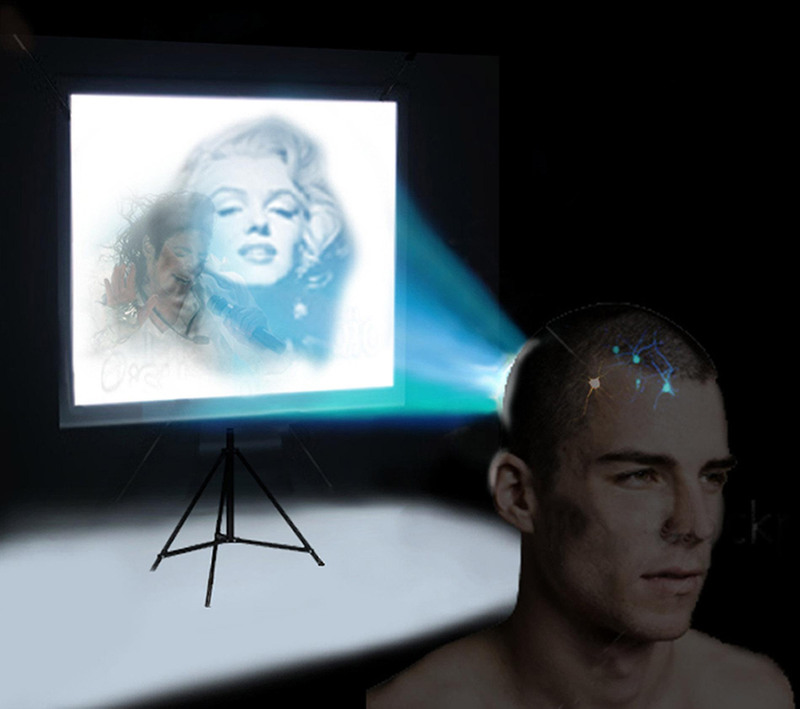 Undated California Institute of Technology handout computer generate image to illustrate their experiment to attempt to link brains to machines which has enabled volunteers to make screen images appear and fade away simply by thinking. PRESS ASSOCIATION Photo. Issue date: Wednesday October 27, 2010. The experiment, conducted in the US, involved 12 epilepsy patients surgically implanted with brain electrodes to locate the source of their seizures. Neuroscientists used the electrodes to connect individual neurons deep inside the brain to images on a screen. With practice, the volunteers were able to control the appearance of ‘hybrid’ images consisting of one picture superimposed on another. On cue they could quickly make a particular image, such as Marilyn Monroe or former US president George Bush, ‘fade in’ or ‘fade out’. See PA story SCIENCE Images. Photo credit should read: Moran Cerf and Maria Moon/Caltech/PA Wire.